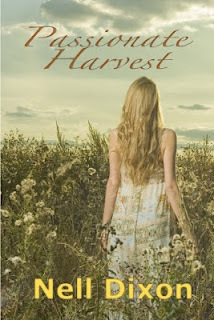 Nell Dixon : Passionate Harvest is out! Passionate Harvest is officially out today. It kind of snuck out early yesterday while I wasn't looking so some of you lucky people snaffled a copy early! 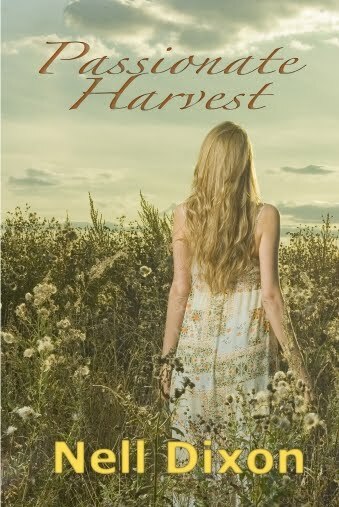 Passionate Harvest is slightly different to some of my other books. Most of you know me for writing romantic comedy, Janet Evanovich style humerous suspense or for my clean read stories. Passionate Harvest has a slightly different feel. It's a little more literary womens fiction, sexier and emotional. Hopefully it still has the same touches of humour and warmth that many of you have told me you enjoy when you read one of my books. I really love this story. I enjoyed writing it. It was one of those rare stories that just flew out of my fingertips and onto the page. I really, really hope you'll get the same pleasure from reading it. You can get a copy from: AMAZON.COM AMAZON UK SMASHWORDS ALL Romance E books I want to say a special thank you to my critique partner Kimberley Mennozzi who is an absolute rock and a wonderful author in her own right. And to the Coffee Crew, Phillipa Ashley and Elizabeth Hanbury who give me so much support. Passionate Harvest wouldn't exist without you. Big Love to Julia at E-Scape Press too for the gorgeous cover and being so enthusiastic about the story!